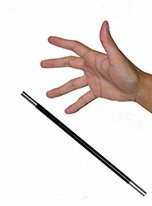 15.00 Just like the Dancing Cane, this beautiful mylar wand dances around the air and floats in and around the performer's hands. 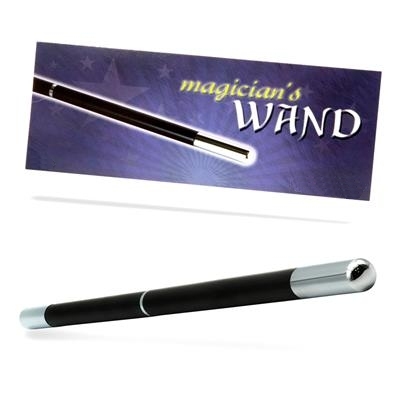 Approximately 13 1/8" long x 5/16" in diameter, this wand comes complete with invisible thread. 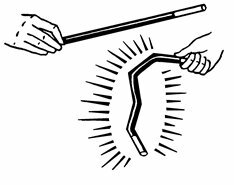 150.00 The magician displays a length of plastic tubing with a short piece of cord passing thru one end of the stick. Attached to these short cord ends are two large easy-to-see pom poms, one attached to each end of the short cord. Different colored pom poms are attached to the ends of a long cord thread through the other end of the stick. 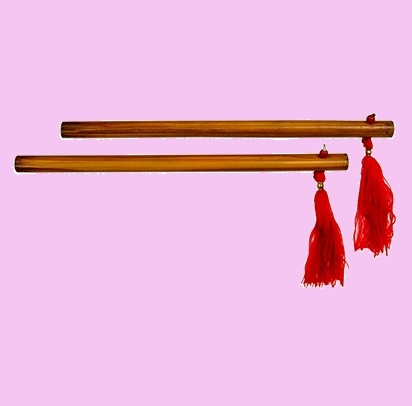 The long pom pom cord can be pulled back and forth through its end of the rod to prove the cords are not connected. Suddenly the magician pulls down one of the short cord pom poms. The short cord becomes long and the long cord becomes short! This comical byplay is demonstrated with each of the pom poms being pulled, which causes a pom pom on the other end to go up. Each pom poms is seeming attached to all the other pom poms! 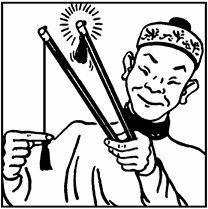 For the finale the magician unexpectedly pulls the short cord again and both cords on the stick are now long! 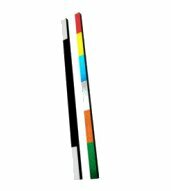 The tube is separated in the middle and there is no connection between the cords on each end of the stick! The magicians slips the two halves of the rod back together and the crazed “what is connected to where” scenario can start all over again! If you are looking for a quality magic effect for children’s and family audiences, then look no further. This trick is easy to do, has built-in laughter, and never fails to bewilder audiences of all ages. It packs small and plays big. This fine piece of magic apparatus was invented by the late Ali Bongo, featured by Doug Henning, and this model was handcrafted in Europe. It features extruded orange plastic tubing made specifically for the trick, has fine machine work, and is crafted with precision engineering. 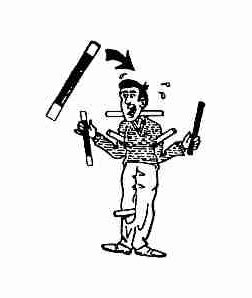 This trick is professional in every respect and is highly sought after by magicians, clowns, and other variety entertainers. This item is also very rare, has been off the market for a long time, and we only have five in stock. After that we won’t be able to get more until the manufacturer starts making them again (if that time comes). 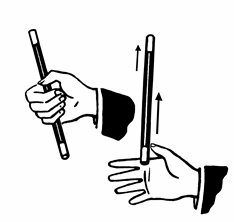 If you have ever wanted this great trick, you had better get it now. They won’t last long on our shelves and when they are gone, we will remove this trick from our website. 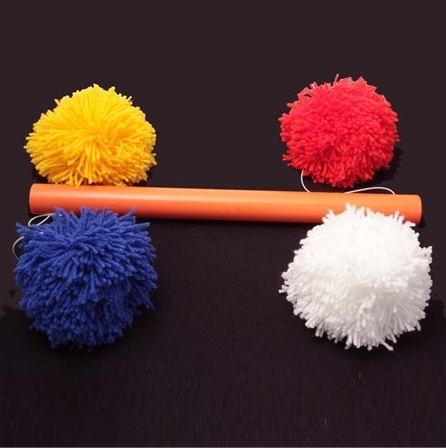 Note that the color scheme of the pom poms sometimes varies.